As it’s name would suggest, Super Fun 21 is a thoroughly entertaining Blackjack variant that has some similarities to the Las Vegas classic, but also quite a few differences that makes it very appealing for casino gamers searching for additional excitement. Super Fun is based on classic American hole card blackjack, where the dealer is given one card face up and once face down, but unlike Atlantic City or Vegas Strip blackjack, it went pretty far from the original game. For example, Super Fun 21 houses an interesting rule saying that only blackjack in the suit of diamonds pays 2:1, while paying even money if the cards are not-suited or in any other suit. The good news are that 2 to 1 payout is also awarded for 21 total consisting of five or six cards, in addition to player friendly double down and splitting options. The bad news are that it doesn’t make up for the decreased natural payouts. We will get more into details later on, but in general, the house edge is higher than in common blackjacks. 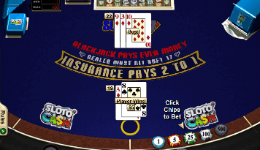 Super Fun 21 rules differ from the standard set of blackjack rules and it’s important that you pay close attention to them if you want to give yourself the best possible chance of winning. Super Fun 21 games are usually played with a 1, 2 or 6 decks of cards. You can split 3 times and play a maximum of four hands. Double down available on any number of cards, including after split. Surrender and Double Down Rescue options are supported. A hand of five or more cards with a value of 21 pays 2:1. A hand of six cards or more automatically wins. As we have already mentioned, only blackjack in diamonds pays 2:1. All over winnings pay 1:1. Split up to 4 hands. Allow to hit and resplit Aces. Do not publish the number of decks. Split up to 3 hands. Allows to play 5 hands per round. Return: 98.6% – 98.94% (depends on the number of decks in use). Super Fun 21 does have a relatively high house edge, so you can probably find blackjack games with higher odds and better value for money. But, in terms of gaming experience, this one is up there with the best of them. Having said that, there are some ways you can improve your winning chances. Late surrender and Double Down Rescue can come in handy when you do not get the card you hoped for, and you should not refrain from using these, as cutting your losses can have a positive effect on your account balance in the long run. The fact that you can double down on any number of cards, rather than the standard two, likely to come in handy when your get three or four low value cards in a row, where the total is either ten or eleven and the dealer’s face card is not Ace or ten-value. 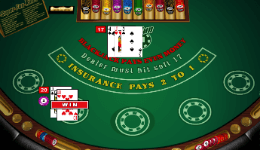 Bear in mind that blackjack in all suits apart from diamonds pays even money rather than 2 to 1, but at least player blackjack always beats dealer blackjack, and you also stand a chance of winning with five or six cards totaling 21 and 20 respectively.